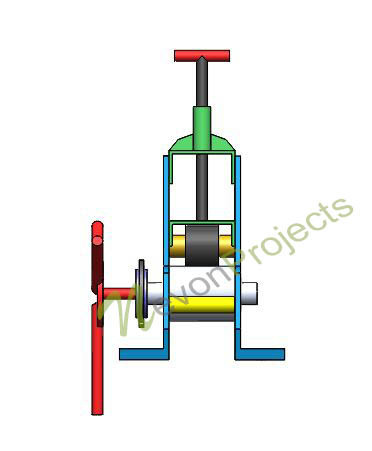 Here we study the design and fabrication of a mini manual roller bending machine that uses chain sprocket based roller mechanism to bend pipes/rods. The mechanism is widely used in industry to for bending purposes. 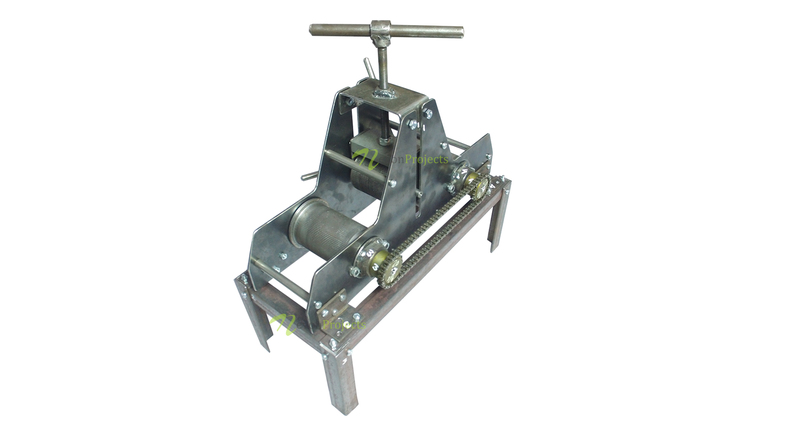 The machine is made with a supporting frame that supports the roller mechanism between it. The work to be bent can then be rolled across it to achieve desired bending. The rollers are fitted with bearings so as to achieve the desired smooth motion. One of the rollers is integrated with a hand driven spindle wheel to drive it manually. 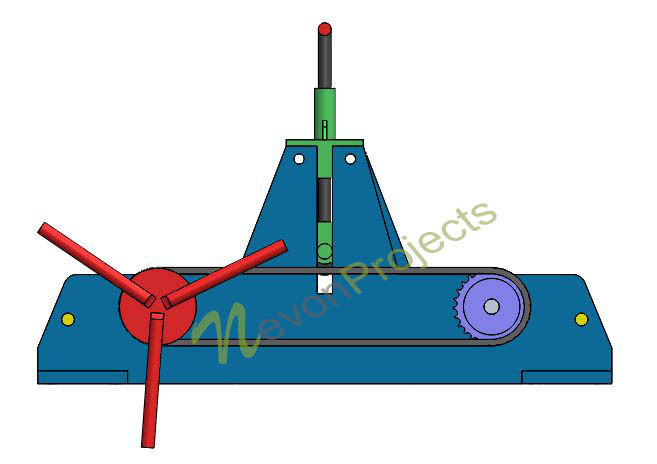 This wheel is also connected to the other roller using a chain sprocket mechanism to drive it along with spindle at the same rate. 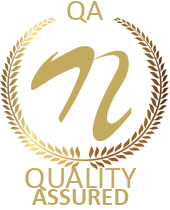 The frame is made with a mechanism to fit a movable roller in the center through a screw mechanism. This is used to adjust the bending angle. The mechanism is fitted through a slot made in the frame center. 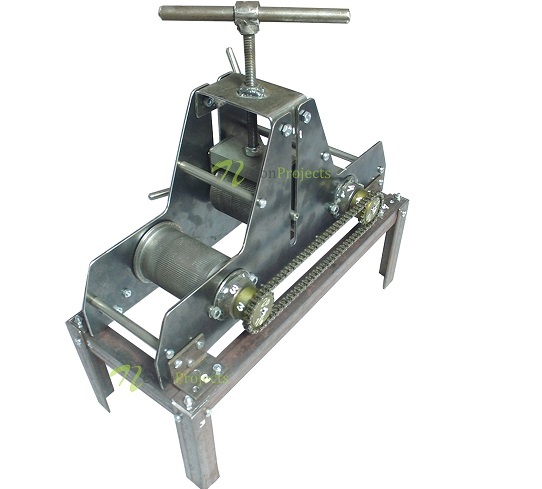 This screw based mechanism along with the spindle powered rollers allows the user to achieve desired bending.